Internationally acclaimed mathematician Distinguished Professor Gaven Martin’s long-standing professional association with Finland has been acknowledged with an invitation to join that country’s most prestigious academic organisation. Professor Martin, from the New Zealand Institute of Advanced Studies and the Institute of Natural and Mathematical Sciences based at Massey’s Auckland campus, has been named a Foreign Member of the Finnish Academy of Sciences and Letters – a body he describes as Finland’s equivalent to The Royal Society. Typically only two non-Finnish academics are named each year to the Academy, which represents all sciences and humanities - highlighting Professor Martin’s prowess in mathematics. He specialises in geometric function theory and non-linear analysis where Finland is internationally recognised too as this was an area pioneered by renowned Finnish mathematician and Fields Medallist Lars Ahlfors – based in Harvard. Professor Martin’s connections with Finland date back to his days as a graduate student where he spent time as a Sloane Fellow in the mid 1980s. It has continued with his work co-authoring dozens of papers with different Finnish academics, being an examiner for the dissertations of Finnish doctoral students, speaking at many conferences in Finland and hosting post-doctoral students from Finland at the Albany campus. He rates this latest honour “ as one of the best” since being named New Zealand’s youngest-ever professor at the age of 32 in 1992 and a very young Fellow of the Royal Society of New Zealand. Professor Martin’s research interests also include elliptic partial differential equations and geometric function theory, particularly as it interacts with conformal geometry, quasiconformal mappings and their generalisations. His CV includes appointments at some of the top universities of the world including Yale, Berkeley, Michigan and ANU, plus awards and fellowships from numerous European countries, the Middle East and Scandinavia. He has had continuous Marsden Funding since the inception of that scheme. This week Professor Martin is in Mexico at the invitation of the Mexican Academy of Sciences and the International Council of Science. He will be attending a member of the committee for freedom and responsibility in science where workshops will be held on gender inequalities in the sciences and gender issues in field research. This honour will support these activities as well as ongoing efforts to make all aspects of the sciences understandable and relevant to the general public, he says. 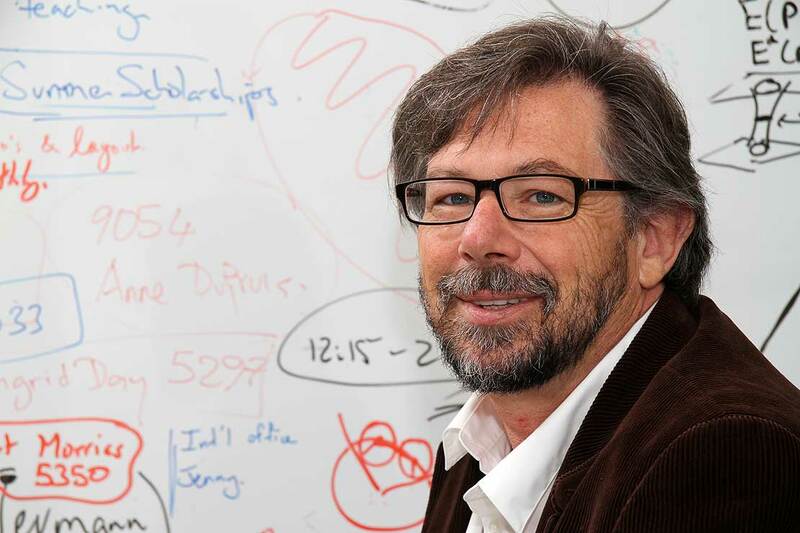 Professor Martin has previously been a guest academic on Radio New Zealand with a regular slot explaining mathematics and its relationship to other sciences to listeners. “I’m absolutely certain there are a lot of people interested in science, and more generally academic scholarship, its importance and directions, and want it explained to them in terms they can understand” he says. “I feel the public should expect this as their right as ultimately they fund it. “We have some excellent people doing this for us at Massey, but lately my engagement here has been through the Royal Society [he is Vice President] where we have just released expert advice on climate change impacts to wide public interest, we will soon release advice on mitigation strategies and are developing advice on gene editing technology and its implications.